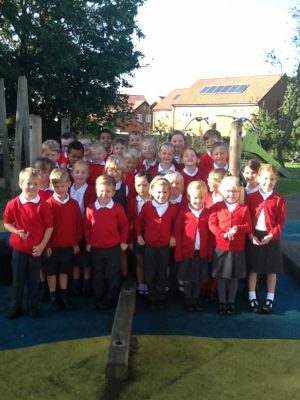 A warm welcome back to all of the children in Woodgate Class. After a restful we look forward to another exciting year at John Clare Primary School. We encourage the children to read and enjoy books as much as possible through the daily routines and activities across the curriculum. Small groups will take part in regular guided reading sessions. They will also be listened to individually by either a teacher, teaching assistant or volunteer at least once a week. Your child’s progress is recorded in a Reading Log book. Please try to hear your child read at home every day and record which page they have read up to, or indicate when they have finished their book. Your child will bring home a Learning Log (red book), which will be used to set homework on Fridays to be completed and handed in usually by the following Thursday. This will be reading and a short phonics and number task. Homework is always explained and ideas demonstrated to the children in class, but do let us know if clarification is needed. Once a half term there will be an open ended topic homework. Please use this book for general communication, such as a query or note about after school clubs, or a change in who is picking your child up. Please remember, we are unable to release your child at the end of the day if we have not been contacted by parents either in the home contact book or by telephone message via the office. PE will take place on Wednesday afternoons and Friday mornings. We will go outside if the weather is fine, so please provide your child with a named PE kit and trainers. It is very important that your child does not become dehydrated at school, especially in warm weather. Please provide your child with a named water bottle and ensure it is brought to school full of fresh water every day (to avoid the children needing to all fill their bottles on arrival!). We welcome parent or carer helpers. Please let us know if you are able to hear children read for an hour or so in the afternoon, or are willing to share any special talents! If you have any queries or concerns about your child settling in over the next few weeks, please do not hesitate to pop a note in the home contact book or drop in and see us at the end of the school day. We look forward to a happy and exciting year ahead.